Harvard Aviation Field, Squantum, Mass. for prizes. Events for other amateurs. Glider flights and aeroplane trials interested the spectators at the second and final day of the first intercollegiate glider meet on the Squantum field Tuesday under the auspiece of the Harvard Aeronautical Society. Harry N. Atwood, in a Burgess-built Wright biplane, made 15 flights. He was graduated about a weeek ago from the Wright aviation school in Dayton, O., and had been flying only about three weeks. Mr. and Mrs. Starling Burgess were at the field. 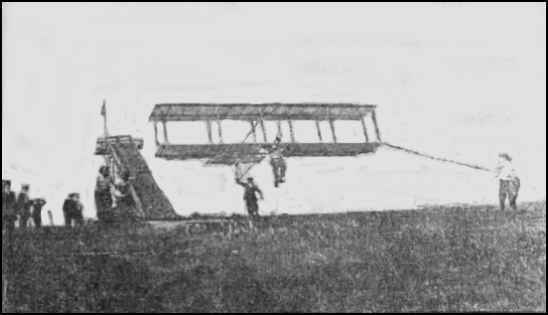 Mr. Burgess made three flights during the day, covering about 40 miles and taking a passenger on each trip. The glider meet two classes of entrants - one mechanically and the other of body controlled gliders. In the former event Tufts with 13 points was first and Cornell with 11 points was second. In the latter event M. I. T. with 13 points and Volkmann with 11 points were first and second respectively. The Tech, Tufts, Harvard, Cornell and Volkmann aviators all tried out their gliders but owing to the velocity of the wind the results were not entirely satisfactory. The Volkmann school made the best showing of the day. In spite of the high wind, which interfered greatly with the trials of the university and college men. tower which would put many older aviators to shame, and making perfect landings. Volkmann and Cornell were the only aviators who made really successful flights. Tufts and Tech made several attempts but each time the wind tossed their gliders about like a ship in a storm. Cornell won the silver cup offered for general control, Volkmann for efficiency and Tech for distance, 653 feet. An anecdote you might find of use: He went to the Volkmann School in the Boston area, which was a very good "prep school" at the time. He mentioned a few times that the school simply dropped dead after/around the First World War, a victim of its German sounding name: It was to him an example of how people could do stupid things given the slightest opportunity. Word association, indeed. ONLINE RESOURCES Using the Google search engine on "Edward P. Warner +aviation", I found some 136 links to articles. Many of them refer to articles or books which he had written. If time permits, you can follow many of the links and assemble a pretty good understanding of his life and distinguished career. This book was recommended to me by Jack Rogers, (1-17-04). I haven't seen a copy myself, but he suggested that it is a good source of information on Edward Warner. EDWARD P. WARNER Edward P. Warner, 63, until last year president of the International Civil Avation Organization, a United Nations agency which headquarters in Montreal, died July 12 at his home in Duxbury, Mass. 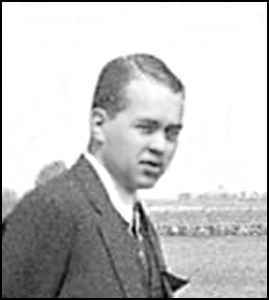 His interest in aviation goes back to 1910 when he built a glider with he flew in an inter-collegiate meet. Following graduation from Harvard he taught at Massachusetts Institute of Technology and for a time was editor of Aviation Magazine. 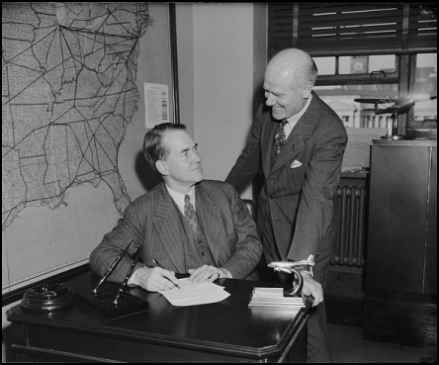 From 1926 to 1929 he was Assistant Secretary of the Navy for Aeronautics, and during World War II he was a member of the Civil Aeronautics Board and a specialist in Lend-Lease operations.